By Miranda Marquit 4 Comments - The content of this website often contains affiliate links and I may be compensated if you buy through those links (at no cost to you!). Learn more about how we make money. Last edited May 1, 2014 . I‘ve got an at-home business that pays the bills for my family. It's a business that works to provide for my family, even though many people think of freelance writing as something you do on the side. Being self-employed comes with a number of perks, and many people are turning toward self-employment in the face of a still-difficult economy and with the help of better technology. One of the harsh lessons of the most recent recession is that your day job doesn't translate to financial security. Gone are the days when companies were loyal to their employees. These days, you can find your hours cut, or be the subject of a layoff without a lot of notice — or sympathy. If you start a side business, though, you can rely less on your day job for financial security. With a side business, you have another source of income. While it won't make up for the loss of a lucrative day job, it can go a long way toward helping you as you look for another job. Plus, you can use the extra income to build up your emergency fund for just these situations. With a side business, you have a little more peace of mind, and a bit of income diversity to fall back on when you need it. Your side business means unlimited earning potential. With a “regular” job, you are limited by the constraints of the situation. You can only receive so many raises — and those are often capped. Additionally, your earning potential might depend on others in your team, on the whims of a boss, or on a company's financial situation. When you have a side business, your earning potential is unlimited. You can always make more money over time. You can grow your business in a way that isn't limited by the realities attached to working for someone else. It's better than cutting your budget as well. You have more flexibility to pay down debt, build wealth, and even spend on things that you want to do when you have a business that provides you the chance to keep earning more. Not everyone wants to quit the day job and turn to full-time self-employment. However, for those who think that maybe a little more freedom is desirable, the possibility of true self-employment is a definite advantage of a side business. With effort, it might be possible to grow the side business to a point that it becomes the primary income source. While self-employment does come with some disadvantages, by and large it's possible to get to the point where you can set your own schedule, and have a little more freedom with how you use your time, and when and where you work. You don't have to turn your side business into your main income source, but having a little side income can be a good way to improve your financial situation. Last Edited: 1st May 2014 The content of biblemoneymatters.com is for general information purposes only and does not constitute professional advice. Visitors to biblemoneymatters.com should not act upon the content or information without first seeking appropriate professional advice. In accordance with the latest FTC guidelines, we declare that we have a financial relationship with every company mentioned on this site. Good post! 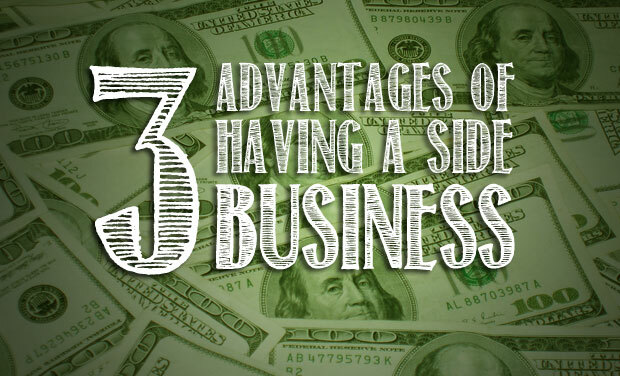 These are all huge advantages to having a side business and my favorite is likely #1. I love that our earning potential is unlimited, but not having to rely on others is huge in my books. It’s rare these days to find that job where it truly is a “secure” paycheck and you never know where a side gig will take you in terms of income or a business. For me #1 is the most important, being less reliant on others – and my day job – for a steady income. With my side business I’m able to make enough money to supplement my day job income, and keep us in the black were I to lose my job – or to save more and give more when I am employed. 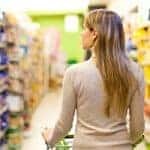 It’s amazing how much faster you can save for things when you have a side income! I think it’s great to have some sort of side business. You are right…employees can’t view their company in the same way anymore. And that’s nobody’s fault…the company has to manage itself in order to survive. Those are some that I have taken advantage of over the years. Funny. I am already expecting some blowback from readers about this comment. I hope not. These are legitimate if you are pursuing legitimate endeavors. Good luck. Previous Post: FreedomPop Cell Service Now Has Iphone 5 Available: Free Cell Phone Service With Iphone!